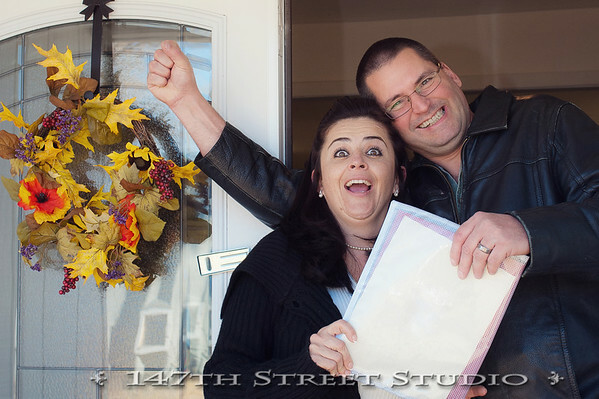 At 147th Street Studio, our idea of wedding photography is simply to capture the day as it unfolds. Mixing and matching traditional and journalistic styles to create a tangible story so you can re-live the day and enjoy it again…and again. So you've decided on simple. * a reception celebration for family and guests. Sweet & Simple is tailored for you! 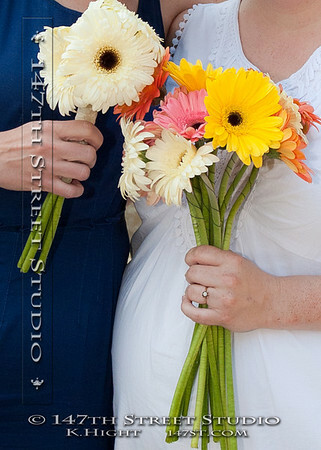 This Sweet & Simple wedding is the most affordable offered by 147th Street Studio. Three hours is just enough time to get the basics. Even so, small weddings are a favorite of mine. The easygoing, often casual, atmosphere makes for great relaxed photos of you, your friends & family. This is a documentary style session. We'll slip in a few creative shots too. 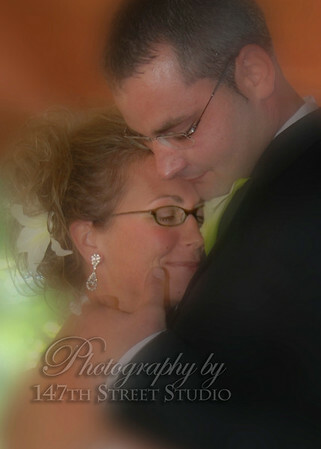 We love to shoot the Bride & Groom alone and with the wedding party, parents and guests around your venue. 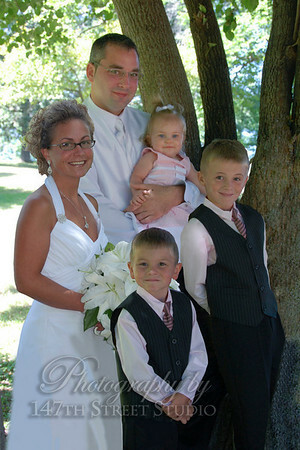 Portraits with the SWEET & SIMPLE WEDDING include posed portraits of the bride and groom, wedding party, parents, immediate family and a large group shot if you desire. 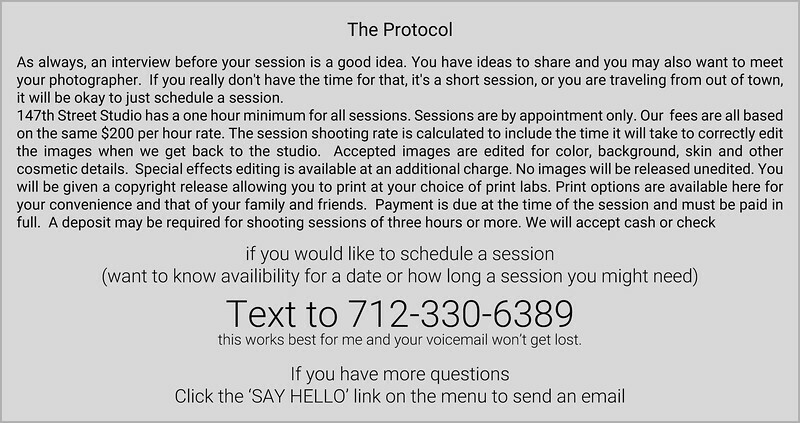 Portraits of the extended family and can be added to session as time allows. 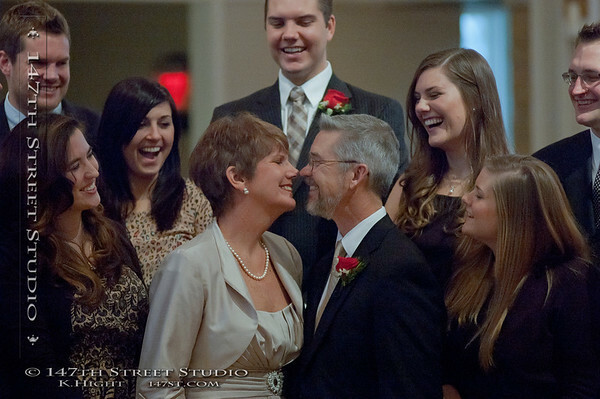 Family and friends will be there to watch as you say your vows. We'll be there too. We'll do our best to truly capture the details and the mood of the service, the congratulations and the hugs as you are introduced as husband and wife. Are You Having a Reception Only? Perhaps you've chosen a destination wedding or have held your ceremony at another time or place? If this is the case…you may choose to do a Reception Only. 147th Street Studio will provide the same three hour session featuring those celebration activities. 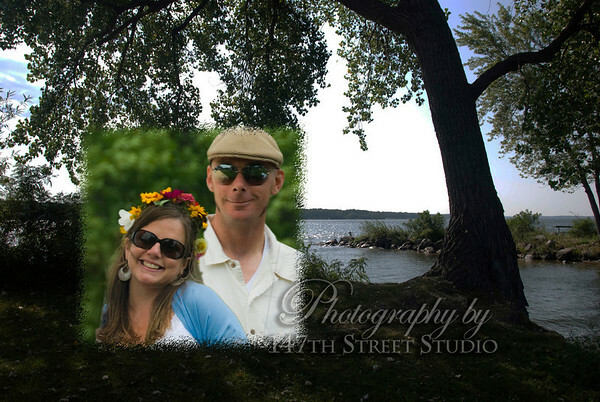 We can get those formal shots of you, your family and guests as you share in the festivities! Where Will You See Your Images? 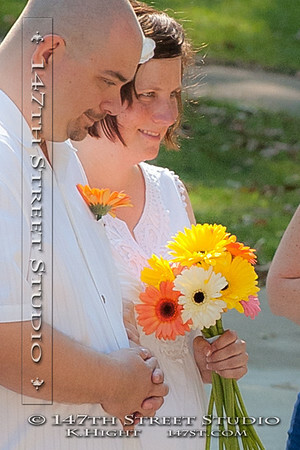 A short time after your wedding we'll have your images ready to view. All images will be hosted online in a private gallery for you to select from and share with friends and family. Of course we prefer to discuss editing and images choices, while viewing your images on our large screen color synchronized monitor in the studio. In this way you can see all the details in true color and feel confident about the quality of your order. Basic cosmetic editing for blemish removal and minor skin tone adjustment is always included on the prints you order. A viewing consultation will allow you to specify any other edits. A digital download will be provided with THE SWEET & SIMPLE PACKAGE. These digital images are for your personal use to share as web images or to make your own prints at any time with any print processor you choose. Incredibly easy to use, your Personal Gallery offers you fantastic options for purchasing prints, framing and canvases of any size. Friends and family can order prints for themselves (or for you!) directly from there with the confidence of knowing that the great quality of our professional print labs are behind the order. There are no minimums required for print purchases. You aren't required to purchase any prints with this package. You will have the option to print any of your images from the convenient "buy this image" screen of your gallery. We're sure you'll enjoy of exceptional color and print quality of a print lab that delivers professional results with some reasonably priced options.